Look out for the new Monopoly slot machine by WMS Gaming! You do not have to be a board games’ fanatic to know of the existence of the game Monopoly. This board game is known worldwide and makes up for wonderful evenings with friend and/or family every time! However, if you happen to be a slot machine fan and a board game lover, you will be happy to hear this news, the US-based gaming group WMS recently announced the release of its newest Monopoly slot machines scheduled for the end of the month of January. Former license owner IGT signed a deal with WMS to let the software provider carry on with upgrades and new games for the Monopoly brand. Double your pleasure on ourpastime.com by discovering what you should be expecting by this new release! We understand that not a lot of our followers are aware of the existence of WMS Gaming or IGT. This is precisely the reason why it is only fair that we elaborate a little bit more on this recent deal between the two groups. Indeed, IGT was the group who initially exposed the Monopoly brand on an electronic platform. The software provider came out with the famous games ‘Monopoly Here and Now’ as well as the ‘Monopoly Pass Go’. « The software provider came out with the famous games ‘Monopoly Here and Now’ as well as the ‘Monopoly Pass Go’». Therefore, when we heard that IGT was selling its branding license to WMS we decided to dig deeper into this partnership. It turns out that WMS Gaming is the famous developer of the renowned 6-reels slot machines ‘Raging Rhino’ and ‘The Adventure of Nemo’. WMS Gaming is well-known for being extremely innovative in terms of the games it issues. Thus, we are confident that WMS will enhance the legacy of IGT and develop the best Monopoly slot machines that can ever be! What is there to expect from January 2015? WMS Gaming and its subsidiary branch Scientific Games settled on the launch of its first slot, from an exhaustive set of Monopoly slots, called ‘Super Monopoly Money’. The game providers will also launch a remastered version of the ‘Monopoly Big Event’ towards the end of the first trimester of 2015. The latter was an outstanding success in the US, since it was available for players on land-based casinos. Further news on additional releases is to be expected in the upcoming days. While the original board game offered to entertain you on the basis of ‘fake money’, WMS is offering you the opportunity of experiencing the board game from another angle, on a different platform. The players will also be able to potentially win a big jackpot in real money from what we have heard. 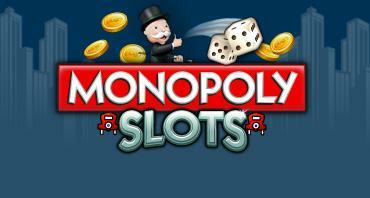 These new Monopoly slot machines can become your favorite and lucrative pastime!